Sascha Frangilli knows romance, so I thought her gown Issy was particularly symbolic for today’s post. It’s my 18th-day wedding anniversary! No, I don’t go that far, but real life marriage rocks! My husband and I had been friends before we dated, and I don’t know if that makes the difference, but it does imply my former relationships’ foundations were rocky. In fact, I imagine many of our former friends believed we wouldn’t last because quite a few probably thought I was crazy. But hey, when a boyfriend thrives on chaos, it’s best to just play along. It’s nice to know those days are over. Issy is 50% mesh. As always, Sascha gives her buyers tons of options when it comes to skirts, so the flexi pieces dance with your moves and the dress’s body stays shapely and neat. Want to see? 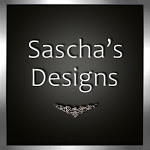 Click Sascha’s Designs for your lift.